Presenting Westlake’s most prominent and commercially prestigious set of modern furnished offices to lease, with direct access to the I-90. These up-market and contemporary serviced office suites are very spacious and fully equipped with the very best standard of state of the art technology and equipment as standard for all occupants. A fitness centre, several cafés and highly rated restaurants are also just around the corner. This is located on the coast of Lake Erie in the same neighborhood as the greater Cleveland aquarium and Edgewater pier and park. As a member, you will have access to beverages such as coffee tea and water, reservable conference rooms. Many offices are well lit and have plenty of the natural light that floods through the entire office. Proudly inviting clients to make their mark by leasing one or several luxurious executive suites individually tailored to meet clients’ needs. Boasting the finest equipment, furniture and latest technology, each space comes equipped to provide an all-encompassing work environment. Clients additionally have complimentary access to the plush boardrooms, conference rooms, private outdoor terrace, ample parking and onsite management team. 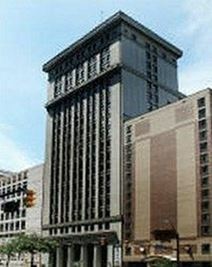 The location is also unparalleled for convenience, with Cleveland’s entire elite financial district on the doorstep. Designed for luxury and convenience, this office development houses an impressive collection of tasteful offices, loft offices and the renowned City Club Forum. Clients have access to the fully serviced restaurant and deli on the premises, as well as to the parking garage. Only seconds away from Cleveland’s most esteemed areas, these business suites are at the heart of downtown’s lively business district. Surrounded by multiple shopping outlets and local businesses on Prospect Avenue this business center allows you to bring flexibility to your work environment from both private offices and open-desk spaces. Members receive free use of conference rooms while regular networking and educational events are also held. The area's transport services are also highly convenient and make the center easily accessible. 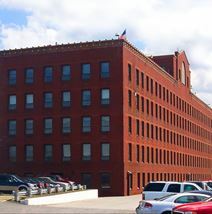 Introducing this magnificent business centre in the heart of Cleveland’s elite Independence area. Comprising a remarkable collection of spacious executive suites with all modern amenities included, clients also receive use of covered parking and the onsite fitness centre. A huge range of local amenities, including fine dining and boutiques, are close by, and downtown Cleveland is minutes’ away for easy access. Benefitting from an elegant, contemporary design, these remarkable offices for rent were built with luxury and convenience in mind. With an abundance of natural daylight and cutting edge technology, clients can take advantage of a fully serviced workplace. 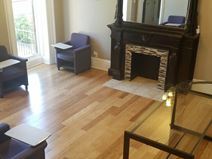 In addition, clients are situated in trendy Independence Place, which is minutes’ from downtown Cleveland, and brimming with hotels, restaurants and upscale shopping. The first modern skyscraper to be completed in Cleveland built in 1922 is nestled in the heart of the financial district and now offers modern office space with fantastic views of Downtown. Directly next to the Federal Reserve Building, it is just steps from a variety of shopping and dining options. A variety of Businesses enjoy complementary conference rooms, 24 hour access and surveillance, convenient parking, and beautiful views, and a Lifetime Office Warranty. Absolutely stunning 360°views of Lake Erie and Cleveland’s distinctive skyline feature in this architectural masterpiece. Ideally located in the prestigious business district, each executive suite within combines light, spacious rooms with cutting edge technology. A notable selection of gourmet restaurants, shops and five star hotels are within walking distance for unrivalled convenience.